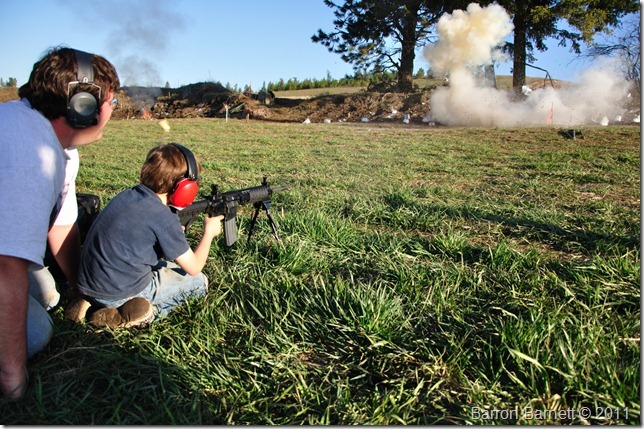 Guns and Explosives, bringing families together since 1998. That scary black rifle is easily adjusted and made to fit the user, even children. This made the young man comfortable and his shooting experience that much more memorable. I still wonder, what does the Brady Campaign and CSGV do when they get together? Even more than that, what do they have like the above to get people to want to stay?